After years spent in different sectors of the education system, one thing I know for sure is that concentration in children doesn’t always come easy. Lack of focus and concentration is one of the issues most teachers struggle with. It is also one of the issues many parents struggle with. Helping young children concentrate is important, especially when they start school. Starting school is a major transition and although it can be an exciting moment for both children and their parents, it is also a moment that has its fair share of challenges. A chorus of voices is saying that how well kids navigate this transition may depend on self-regulation. 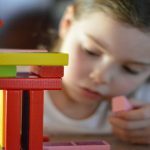 Several studies have found that a child’s ability to develop self-regulation skills determines his or her ability the tools to create successful social interactions. There is evidence that self-regulated learners demonstrate a higher sense of self-efficacy. They are more likely to be school ready, have a greater sense of well-being, and encounter greater academic achievement even beyond the childhood years. Self-regulated learners believe that success and failure are not determined by external forces but rather, lie within their control. There is evidence that children who have developed self-regulation are more accountable. Self-regulated learners believe that success involves practice and hard work. One study found that self-regulated learners are more likely to take on more challenges than other students. There is evidence that self-regulated learners are happier and more successful in life. Self-regulation is about teaching kids to follow instructions and persist even when they encounter enormous challenges. One of the key benefits of teaching self-regulation skills according to a recent study is because self-regulated children are able to listen, pay attention, think, then act. 1. Develop self-control, i.e., teaching kids to do what is appropriate rather than what they want to do. 2. Develop the working memory, i.e., enabling children to hold information in memory while mentally incorporating new information. 3. Develop cognitive flexibility, i.e., teach kids to think outside the box. The good news is that many self-regulation strategies can be easily applied at home. 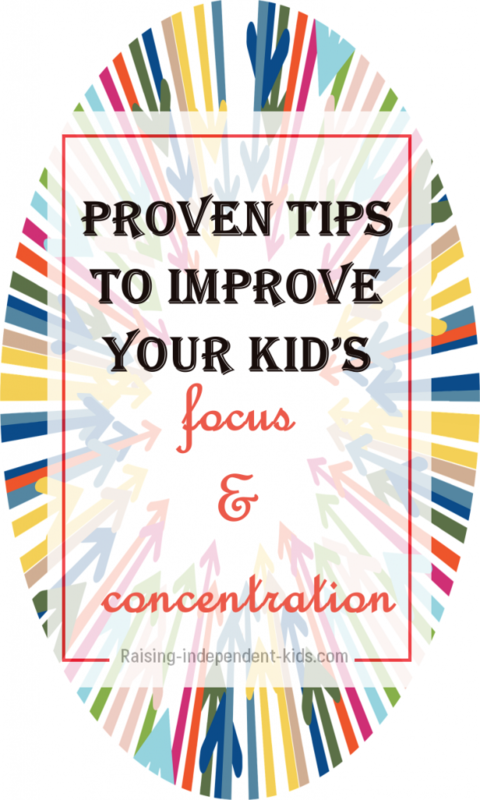 In other words, each parent has the tools to help increase her child’s focus and concentration. Teaching kids to listen, focus, follow instructions, keep rules in mind and practice self-control. Everyone knows the Head, Shoulders, Knees and Toes song. 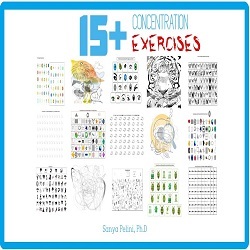 Turns out it’s a great resource for teaching kids to learn about focus and concentration. The natural tendency with the Head, Shoulders, Knees and Toes song is to touch the part of the body mentioned. However, research has shown that asking children to do the opposite of what they are told (for example touch their toes when they are asked to touch their head) helps develop their concentration. 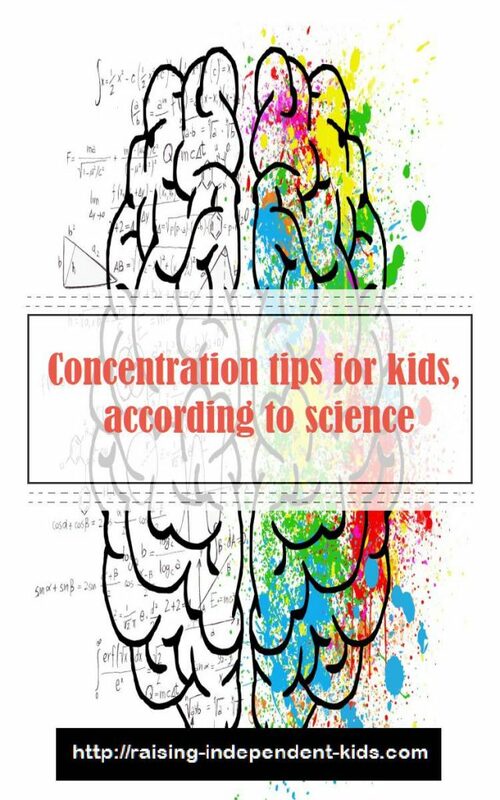 Having trouble with your child’s concentration? Play Simon says. Simon says helps kids concentrate and follow directions and is thus a perfect game to develop self-regulation. The day-night task involves showing a child a card (or picture) and asking him/her to say the opposite of what is on the card. For example, a child is expected to say “day” when shown a dark card with stars. This tool has been used for years by researchers to improve children’s concentration. A mandala is a circular abstract design with evenly distributed patterns that create a feeling of balance and harmony. Mandalas are an excellent art therapy to calm stressed kids. 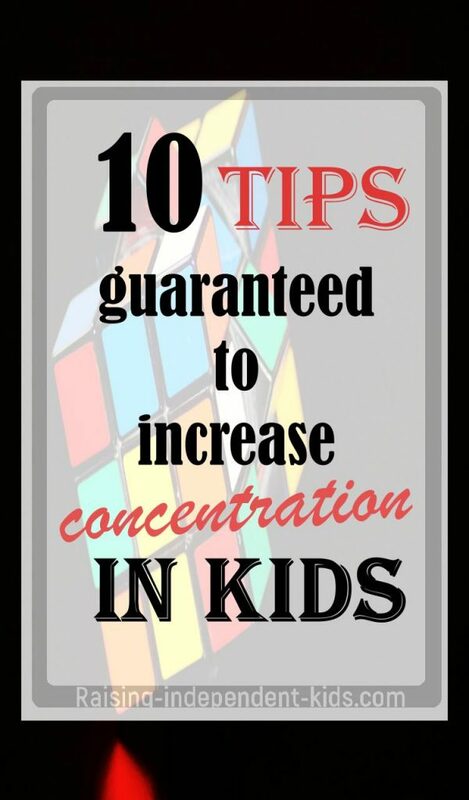 They also help kids increase their concentration. You can make your own mandalas or get books here (for younger kids) or here (from age 4 and above). 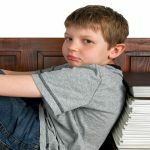 When kids have not yet developed their self-regulation skills, they often have a difficult time calming down when upset. Playing age-appropriate games such as The Emotions Game can help teach your kid about learning to identify and express different emotions. 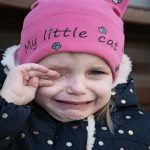 When kids have learned to express how they feel, it’s easier for them to deal with difficult emotions. Resources such as The Emotions Kit are designed to help your child learn to identify and cope with different emotions by himself. By teaching your child to pair specific emotions (I feel angry) with appropriate responses (I can color my mandala), you can teach your child about self-control. Help your child identify different emotions, then help him or her brainstorm appropriate reaction to those emotions. Write those reactions done and hang your “pairing chart” where your child can see it. If you need help, The Emotions Kit is filled with resources to help reinforce your child’s emotion regulation skills. Charles Schaefer, the play therapy expert, argues that role-playing helps a child learn to think ahead and reflect on appropriate responses to frustrating situations. When kids engage in role-playing, they are more thoughtful, flexible and creative in the face of everyday problems. Storytelling requires kids to stay focused for a specific period of time and is thus an effective way to develop your child’s concentration. However, all books are not created equal. There are things to bear in mind when choosing kids’ books. 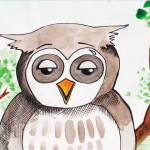 Select age-appropriate books that captivate your children. Play planning involves asking kids to determine what they would like to do (or will do) during a specific moment (for instance when they’re bored). This can be done by asking them to draw a picture or write about what they will do at that particular moment. This is what it takes to raise a happy and confident adult gives you tools you can use to help even the youngest kids practise play planning. The freeze game was successfully used by McClelland and Tominey in a study to develop children’s concentration. The freeze game involves asking everyone to dance to music and then freeze when the music stops. You can also ask your child to dance slowly to slow songs and quickly to fast songs. When this is mastered, ask your child to dance slowly when fast songs are played, and quickly when slow songs are played. The Freeze game teaches your child to listen attentively and follow instructions. Resources such as the Color, Cut and Glue Digital Download are designed to help develop your child’s focus and concentration, fine motor skills and visual perception skills. 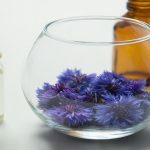 This product can also help calm your child’s anxiety. 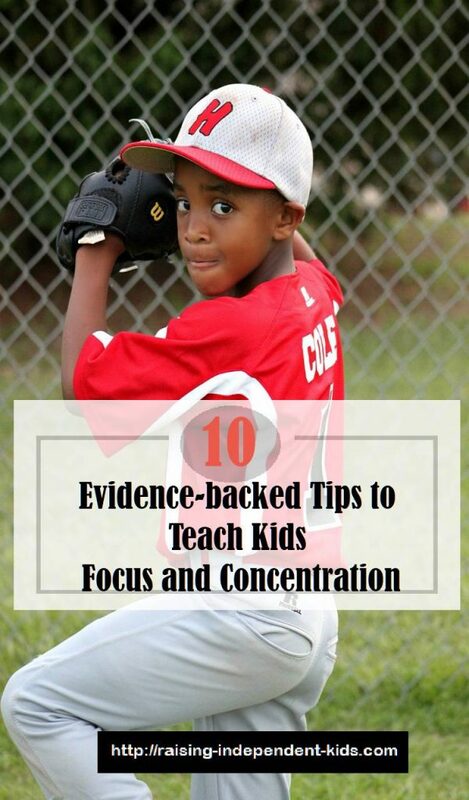 An additional resource, the focus and concentration kit, provides more tools you can start using from today to help your child work on his/her focus and concentration. Thank you very much! My 7 y.o. son has problems concentrating. I will definitely try your suggestions! Again, thank you. Thanks for sharing such a helpful article. Really story telling is a very effective way to to develop concentration among children.